Low on cash? Want to make some quick money? Have you tried casino games? If not, you’re missing out on some really good opportunities. Various casino games have different payout rates. It’s from this payout rate that the casino’s house edge is determined. As a gambler, you’ll want to minimize the house edge. You can do it in two ways: through an effective game strategy or simply play safe by choosing games with the lowest house edge. These are the best casino games to play because they give you the best chances to win some quick cash. Let’s look at the best low house edge casino games to consider. If you like a little bit of sophistication, Backgammon is your best bet. The objective of the game is to move all your checkers around the board in a clockwise direction until you get off the board. The first player to do this wins the game. Checkers are moved by rolling a dice. The dice numbers indicate how many spaces on the board you can move with one or multiple checkers. And since you can’t move checkers randomly, there are highlights to show you the possible checker movements for each dice roll. For instance, if a player rolls doubles, they get to move each die two times, which amounts to four moves for that particular turn. You can move the checkers to any point as long as it’s occupied by your checker, has only one of your opponent’s checkers, or is empty. You can’t move your checker to a point with more than one opponent checkers. If a dice roll lands your checker on a point with one of your opponent’s checkers, you knock it off the board, which sends it back to the starting point. The opponent will then need to roll a number that allows them to move that checker into any empty point in your territory so as to get back into the game. They can’t move any other checker until they get the knocked off checker back into play. If you move all your checkers to the upper right quadrant, you can begin bearing off. In other words, you can start moving your checkers into the right-side slot, which allows you to get them off the board. If you manage to do this faster than your opponent, you win! If you’re looking for a less complicated game, try Blackjack. The numbered cards range between 2 and 10, and each is worth the value of its number. The Queen, Jack, and King cards are worth a value of 10. The Aces can be worth a value of 11 or 1, depending on what suits your current hand. Blackjack has some really attractive odds. The house edge is roughly 0.5%, while the Return To Player (RTP) averages at about 99.5%. However, there’s a catch: The RTP you get highly depends on the strategy you use. You need to know when to stand, hit, split, and double — depending on the type of cards you’re bearing as well as the dealer’s up card. Some casinos have special offers in their Blackjack games. For example, this casino in Michigan offers a Blackjack Doubler that gives you a chance to win thousands of dollars in a single game. Three-Card poker is a quick and fun variant of the regular poker game. It’s easy to learn and play, making it one of the best casino games to win money if you’re new to gambling. In this poker game, you play against the dealer and not other players on the table. The cards are usually dealt face down, and the aim of the game is to generate the best possible poker hand with only three cards. After looking at your hand, you can decide whether you want to place a play wager to put your hand against the dealer’s or not. This is where the poker strategy comes in. As a general rule, always play all hands greater than Six, Four, and Queen. For all hands worse, fold. This way, you’ll have a better chance of recouping your bet money. This is the best casino game for people who don’t want to worry about strategies. Just like in sports betting, everything here depends on luck. There are two versions of the game—American Roulette and European Roulette. In both versions, the game is played by spinning a Roulette wheel, which is usually divided into numbered, red/black segments. The only exceptions are the “00” and “0” segments which are colored green. Next to the wheel is a large grid known as the “betting area.” Some tables may have a second betting area known as the Racetrack. To play the game, a ball is randomly released into the roulette wheel. Players then bet on which numbered segment it’ll rest on when the wheel stops spinning. But this isn’t the only betting option. You can also bet on a combination of numbers. For instance, you can bet on specific number types such as all red/black numbers or odd/even numbers. The Pai Gow Poker game is a fun hybrid of Poker and Chinese domino game. The objective of the game is to generate two winning hands out of the 7 cards dealt to each player. One of the hands consists of five cards, and the other is a 2-card hand. A 53-card deck is used, which includes the classic 52 poker cards and the Joker. Like in ordinary poker, the Joker is the wild card and normal poker hand ranking rules apply. This compilation of the best casino games should certainly help you make some quick cash. 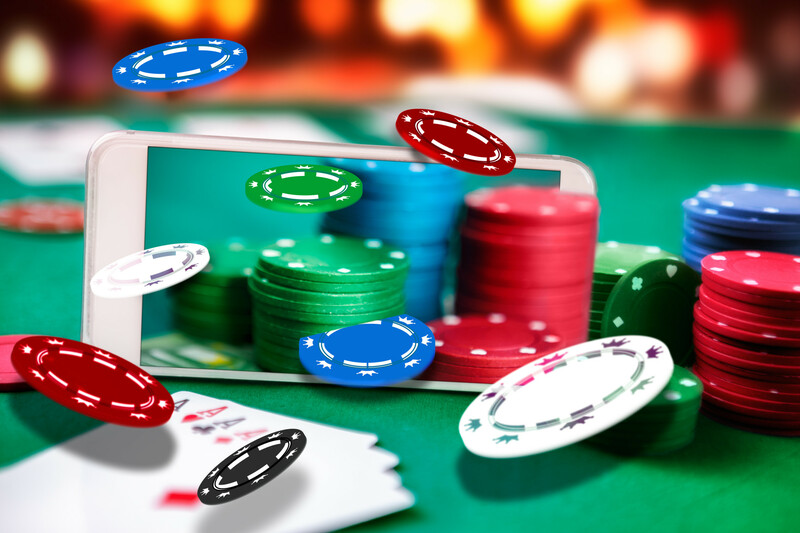 To choose the right casino game for you, it’s recommended to consider the aspects of online gambling that you value most. Do you prefer interacting with other people when playing? What about the winning frequency? Do you prefer small but frequent wins or one big jackpot? Considering these questions when making a choice will point you in the right direction. For more insightful game-related reads, visit our gaming category tab.